Norslab waffle pods are a cost effective way of building concrete slabs for new homes, extensions or commercial buildings. They save time on site as Pods can be cut to fit within the dimensions of the plan. Norfoam provides a comprehensive profile cutting service to cut single or multiple cuts for pipe Insulation, foam infills, sign letters, sheet foam, meat trays, packaging shapes cut to your shape, bolt sleeves, mouldings, theatre backdrops and floats. Norfoam manufactures high quality, food grade polystyrene packaging which is lightweight and durable. 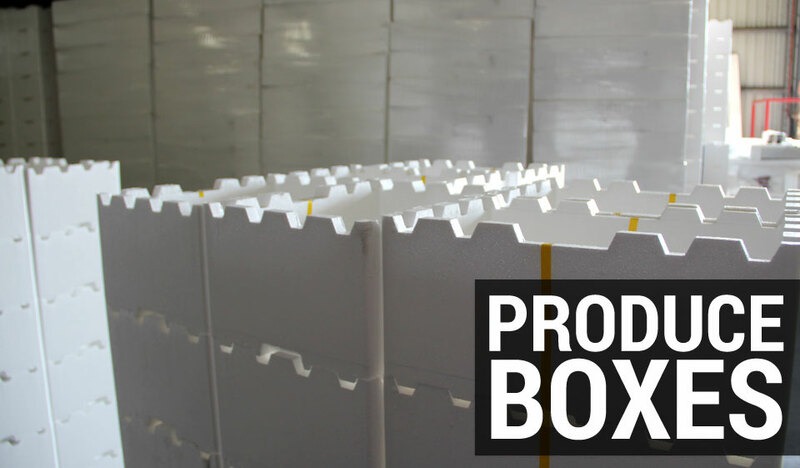 Our produce boxes are designed to interlock for convenient stacking for transportation and theair holes provide better air flow around the produce. 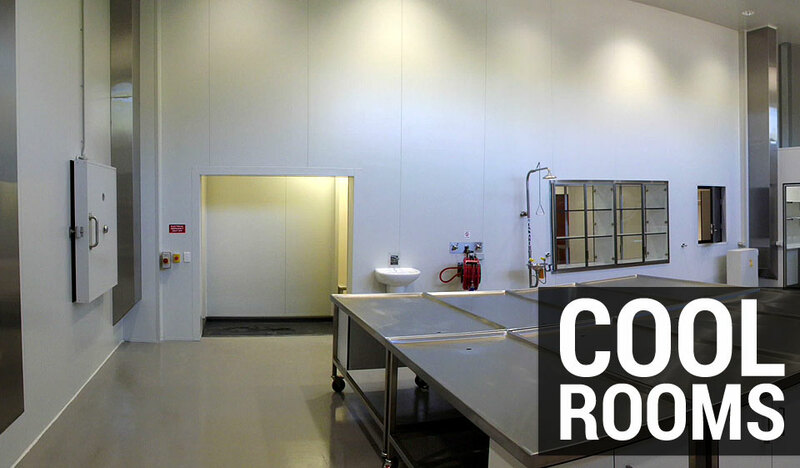 Maintaining a consistent temperature and hygienic environment is vital for quality control, efficiency and profitability in every type of cold storage room. 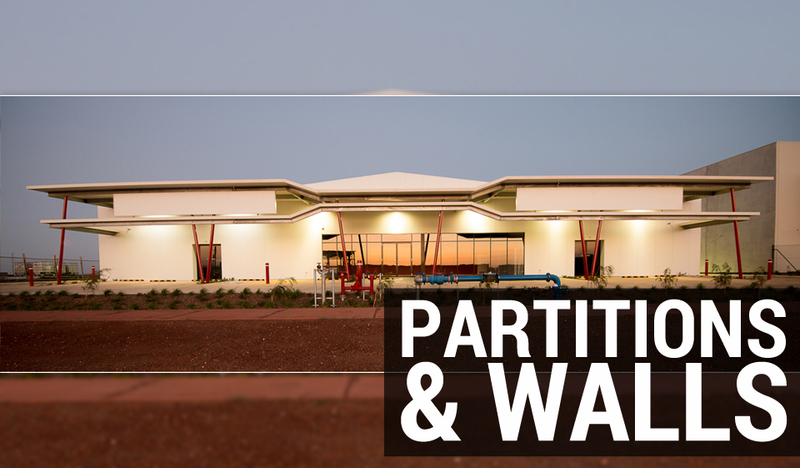 Often the door of the cold room or freezer can be a weak point if it is not constructed correctly with reliable, high quality products. 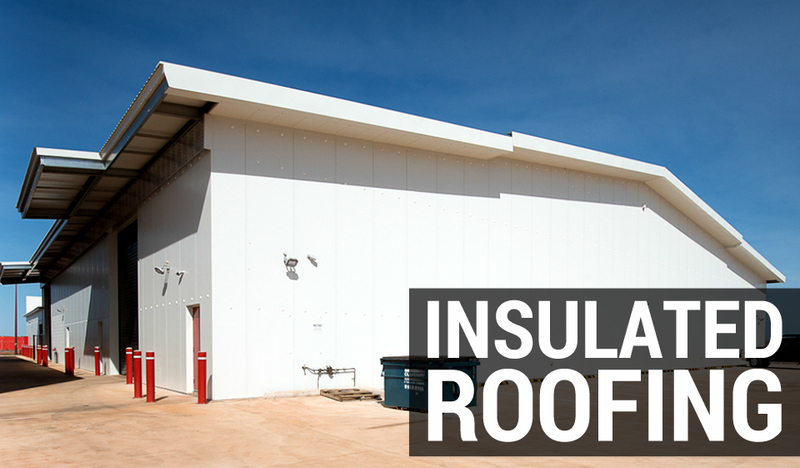 Norfoam Panels are manufactured on a continuous laminating line where the skins are attached to an expanded polystyrene (EPS) core by the automated application of a two part polyurethane foam adhesive, and automatically cut to length. Norfoam supplies high quality, easy to build kit form cold rooms with all components ready for installation. These customised kit cold rooms are available in a range of attractive steel profile finishes, with several door and floor options to meet your specific cold storage needs. Free standing patios have become a popular outdoor addition to any home, deck or yard. They allow users to enjoy the experience of being outside without being exposed to the elements. The open design allows maximum airflow, making them an ideal option for outdoor dining and evening entertainment. All Norfoam construction products can be supplied in complete kit form to your requirements and specifications, or if you wish we can arrange for our qualified tradesmen to install our panel products in a timely and professional manner. Importantly, all the expanded polystyrene material used in Norfoam products is totally environmentally friendly and free from damaging CFC's. Happy with your product and our services? Let us know but liking our Facebook page.